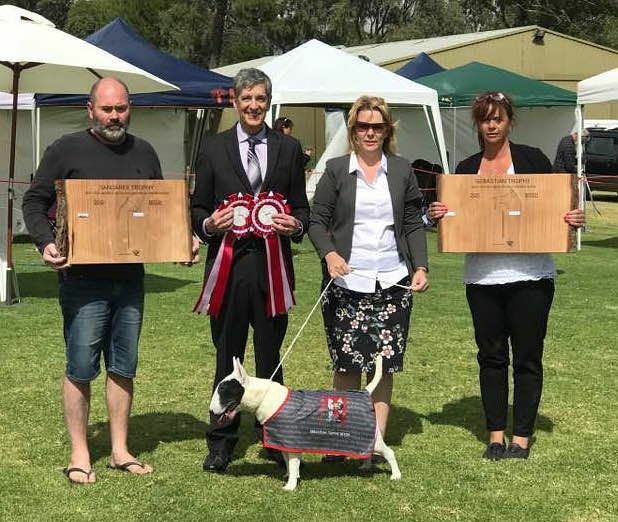 The Australian Bull Terrier Trophy Show is a Biennial Breed Competition inaugurated in 1979 so that Australian breeders would have Trophies which recognise their skill. These Trophies were donated in 1979 by the late Raymond Oppenheimer and Miss Eva Weatherill, the Ormandy/Souperlative partners. The Trophies are green Onyx Boxes on Mahogany bases with Silver engraving plates. 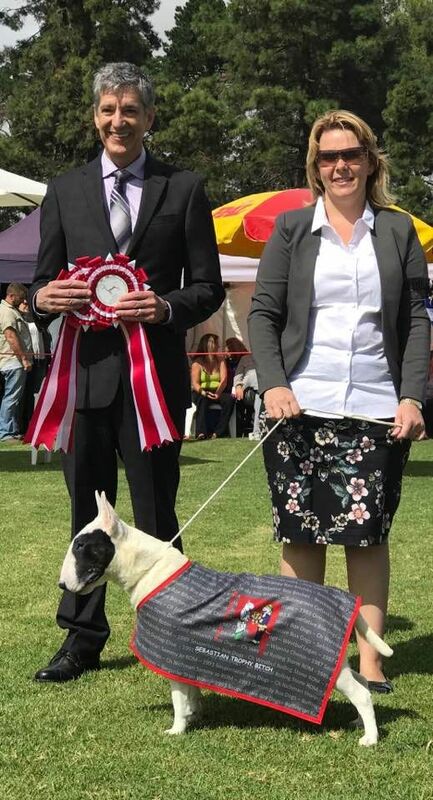 They are held in trust for the Breed. The winners are to be given small mementos provided by the NBTC(A).